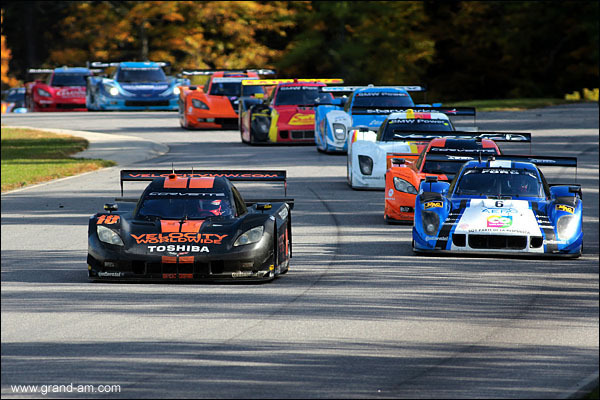 The Grand-Am Rolex Sports Car Series came to an end at Lime Rock Park, where fittingly Wayne Taylor Racing came out on top of the Drivers championship – Jordan Taylor and Max Angelelli combining to win at Lime Rock and also clinch the second title for the team; their first coming in 2005. 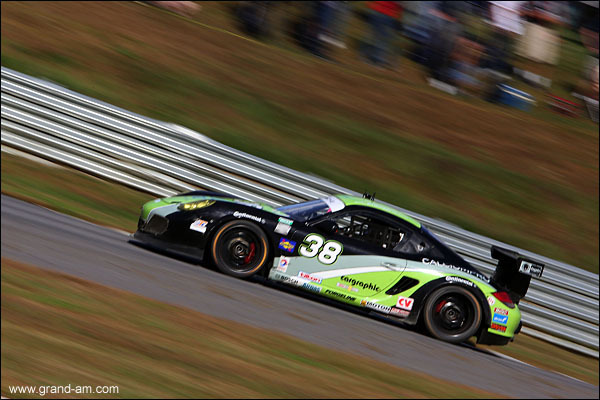 This was also their fourth-consecutive win at Lime Rock, a track that the 2014 Tudor United Sports Car Championship will not return to. This championship was fitting for WTR, as it was their fifth win of the 12 race season and their third in a row to end the season. They ended up winning what was just a few races ago a very tight points-chase by 13 points over the Chip Ganassi pairing of Scott Pruett and Memo Rojas. 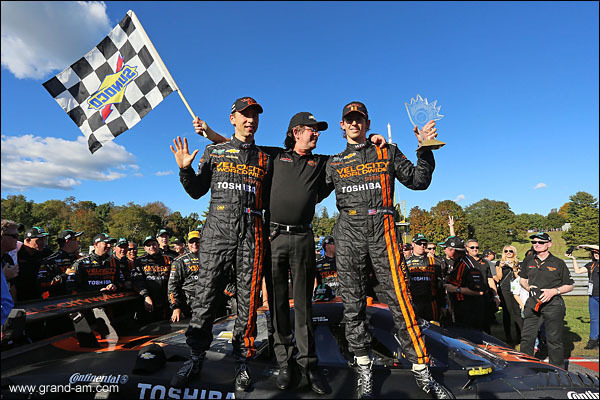 The Ganassi duo finished third at Lime Rock, which was enough to give the team their seventh DP Team Championship in the 11th DP season, the last 10 of which the Ganassi team entered. The era of the DP has ended – the original concept premiered to a great deal of controversy in the 2003 season and really did not catch the imagination of the ticket buying or television watching public. Although the grid sizes were large and the on track competition was close, to most sportscar fans it just wasn’t right; the cars were visually challenged and in a sport in which the cars are the stars, it just didn’t work. 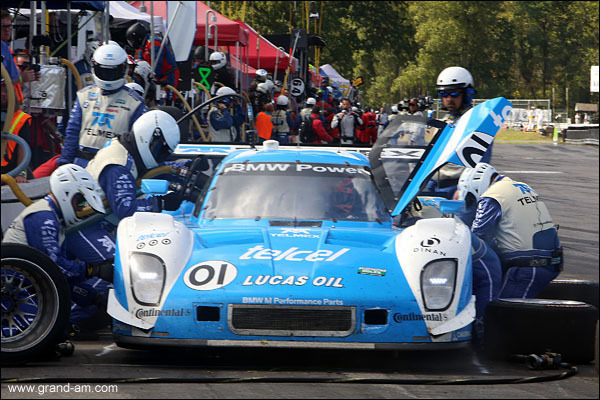 As time marched on, the series worked to improve the show and actually created cars that were more attractive – more reminiscent of the IMSA GTP era, at least from certain angles – but the series still didn’t capture the interest of the fans. 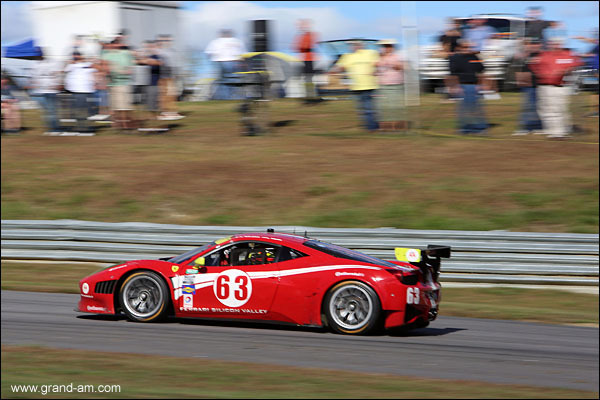 While that era is now over, the DP spec changes yet again as the TUSCC moves into 2014. As of yet, there is still no definite word concerning what regulations the DPs will be racing to, but expect additional aero-aids to be added to the cars, which should also see an increase in HP. Reportedly, the new for 2014 Ford Eco-Boost motor has been testing at the 600HP range, which is a significant increase over where they’ve been at over the last few years. 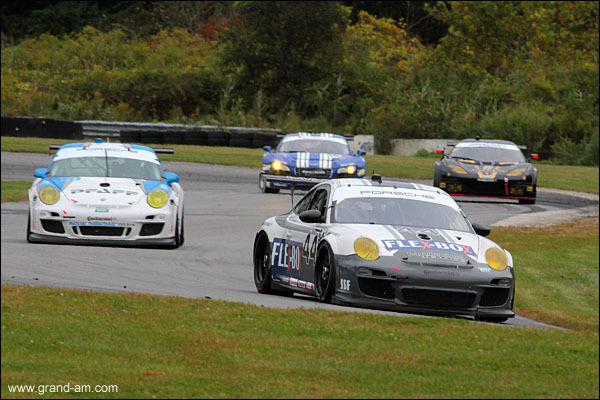 In GT, Grand-Am has hit on a good formula, incorporating the GT3-spec(ish) cars into their existing category. 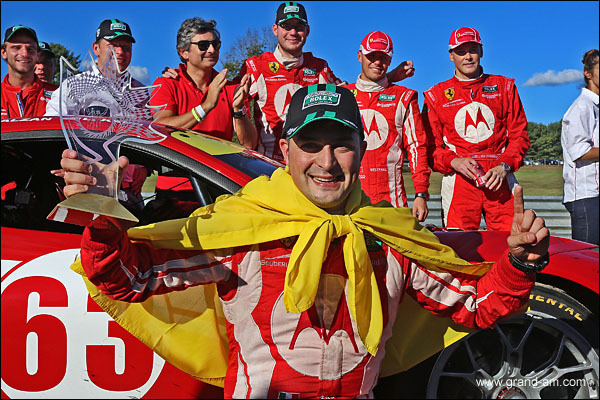 For the second season in a row, it is a Ferrari driver winning the title; Alessandro Balzan wining the Drivers title with the support of a myriad of drivers for Scuderia Corsa. They also won the Team title, while helping Ferrari to the Manufacturers title also. Unlike last year, when the Ferrari was the dominant car in the class, the Italian make only had two class wins this season. 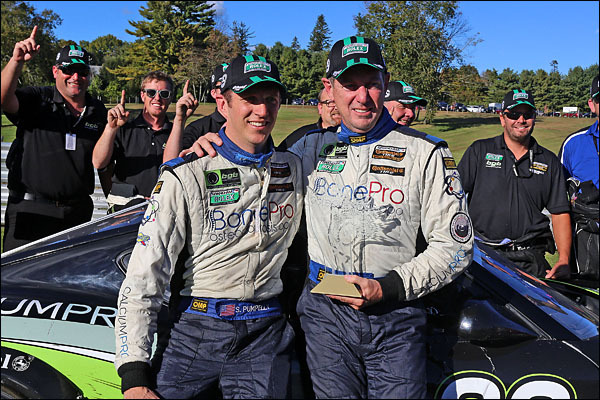 Based upon wins, the title should have gone to Robin Liddell and John Edwards of Stevenson Motorsports, which won four races (including three in a row), but they were also stung by three finishes of 10th or lower. For 2013, it looks like consistency was the key as Scuderia Corsa and Magnus, second in points, each won only one race during the season. In GX, Dr. Jim Norman ended up as the driver champion, thanks to a start of three wins in a row in his Porsche Cayman, before the Mazda engines became reliable. By winning the title, Dr. Norman will go in the books as the only class winner, as the class is to be absorbed into the GTD category next season. 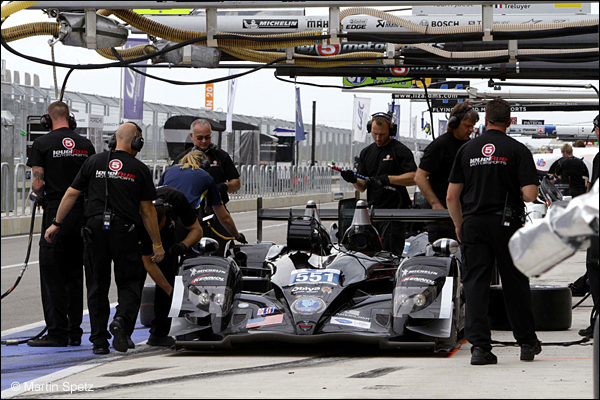 That means that Mazda will continue to have to up their game to be competitive next season. 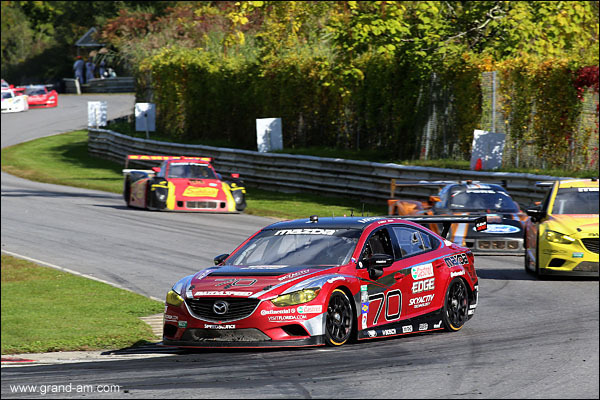 Mazda did win the Manufacturers title. 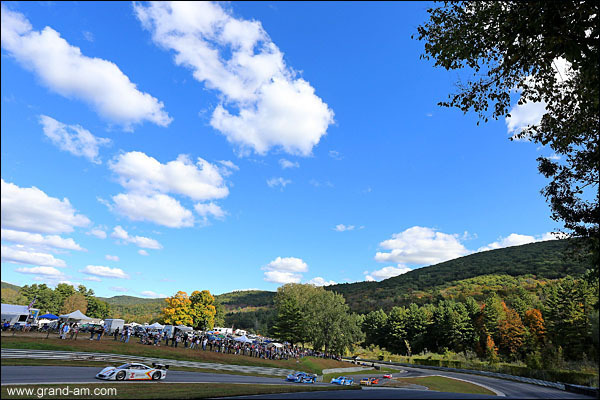 While Grand-Am is now in the books, there are still two remaining ALMS races to run – VIR and the finale at Road Atlanta, Petit Le Mans. 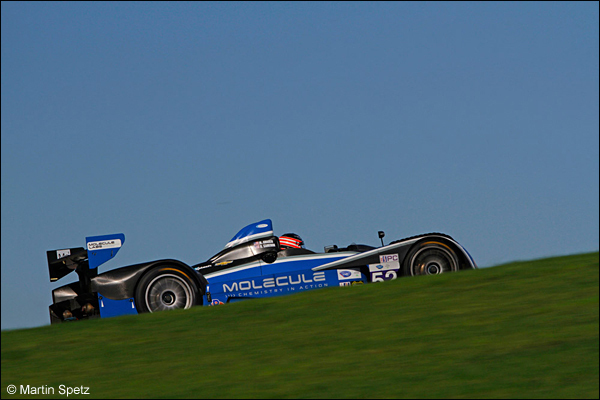 While the P1 category is a signed, sealed and delivered deal for Pickett Racing, VIR will see another driver line-up for Dyson Racing as they attempt get a win in what has been a very rough 2013 for them. 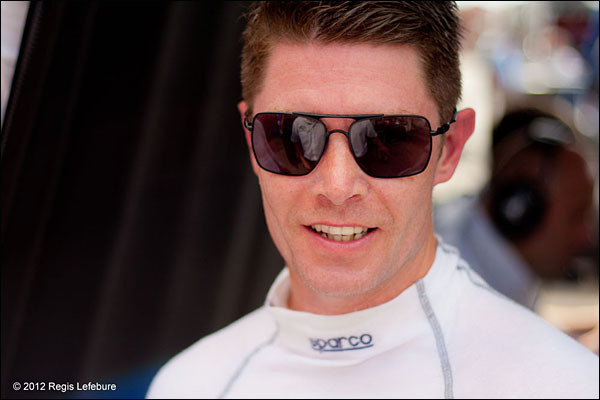 This time, Guy Smith will be partnered by Johnny Mowlem, both long time ALMS competitors. 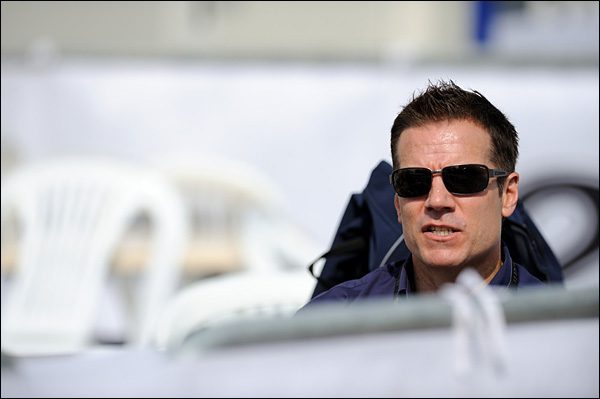 Mowlem, while being a part-time runner most of the time in the series, has competed in at least one race of the series each year since the beginning, back in 1999. He joins an illustrious list comprising of Jan Magnussen and Sascha Maassen. Long time Dyson driver Butch Leitzinger would have been in the same club, except that his Dyson ride expired at Sebring before he got a chance to drive. Guy himself is close, having first competed in the series in 2000. 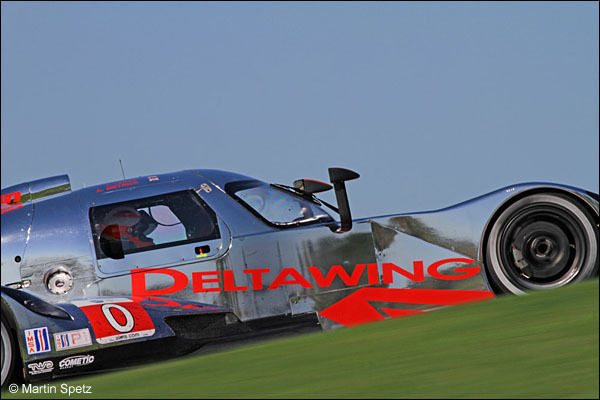 As at COTA, the DeltaWing Coupe will fill the remainder of the class. In P2, the results of COTA further complicated the points chase. 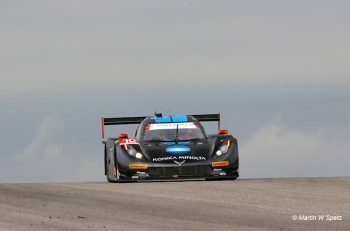 With Marino Franchitti suffering a “cut” tire late in the race, it allowed team owner Scott Tucker and his co-driver Ryan Briscoe through for the win. This brought Tucker to within 12 points of the class leading Franchitti, while recent Level 5 signee Guy Cosmo remains four points back of the Scot. For Tucker to win another championship will be difficult during the course of the two races without any help or team orders. 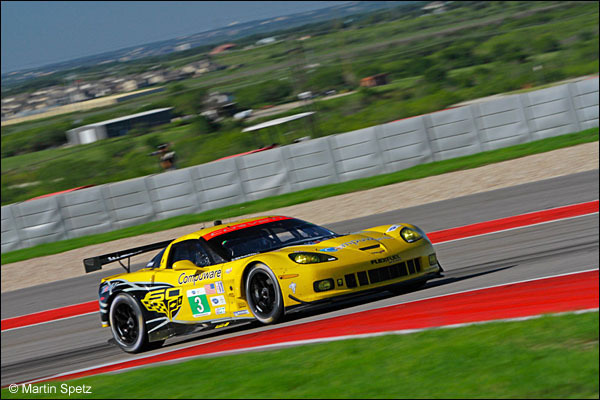 While Corvette Racing continues to lead all categories in GT, the race at COTA was a big hit in the points for the reigning champions – Ollie Gavin and Tommy Milner. 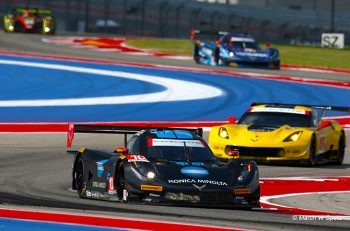 The gearbox failure in the #4 Corvette dropped them out of the points lead and allowed their teammates, Magnussen and Antonio Garcia, to take over the drivers points lead. By virtue of their two consecutive wins, Mags and Garcia lead BMW driver Dirk Muller 112-99, with Gavin/Milner stalled at 94 points. Barring any miracle, those are the ones that should be in the running for the points championship. Two lower class finishes by Marc Goossens and Dominik Farnbacher dropped them back in the points chase in their Viper. Pretty much the rest of the season is a matter of pride for the remainder of the class. A post-race exclusion for CORE gave Mike Guasch a 20 point lead over Jon Bennett in PC, which will be a tough deficit for the team to overcome to gain another class championship. Bennett will again be racing with Tom Kimber-Smith, while Guasch will share the PR1 Mathiasen entry with David Cheng. 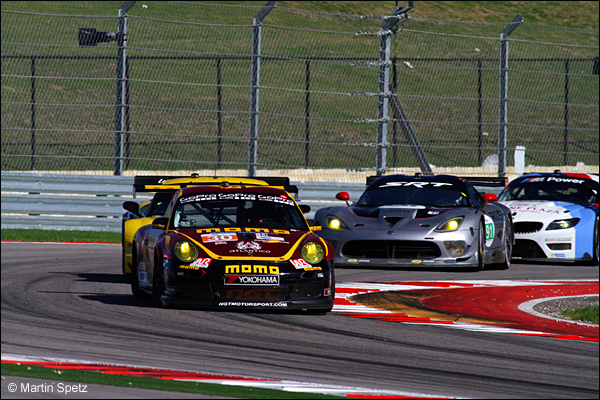 GTC, which appeared to be a two-horse race is now three again, thanks to uncharacteristic finishes by both AJR and Flying Lizard at COTA. A second place finish for Henrique Cisneros in his MOMO-sponsored NGT Porsche put him back in the hunt, 10 points behind the class leading AJR entry of Jeroen Bleekemolen and Cooper MacNeil.